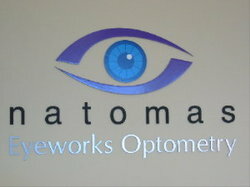 We're committed to making your visit to Natomas Eyeworks one of your most thorough and enjoyable eye care experiences ever. Dr. Fong and his eye care team is committed to providing each and every patient with the utmost in professional service. He and his dedicated staff utilize the latest diagnostic technology to ensure maximum precision, accuracy, and patient comfort. Our services include modern tests and procedures to ensure your eyes stay healthy. Our sophisticated technology and years of experience enable us to thoroughly examine the health status of your eyes. This allows us to evaluate for serious eye or medical conditions that often do not present with any symptoms in their initial, yet most treatable stages. We want you to see as well many years from now as you do today, so we spend extra time conducting a variety of tests you may not have experienced elsewhere. You'll find our Doctor and Staff will always take time to explain the results of your examination, describe your options, respect your concerns, and listen to your needs. We're here to ensure that all your questions are answered, and that you fully understand your treatment program at each phase.